Home / Kitchen & Dining / Plastic Wine Glasses / Kitchen Gizmo – Unbreakable Wine Glasses With Hammered Finish 100% Tritan – Set of 4, 16oz Stemless Tumblers. 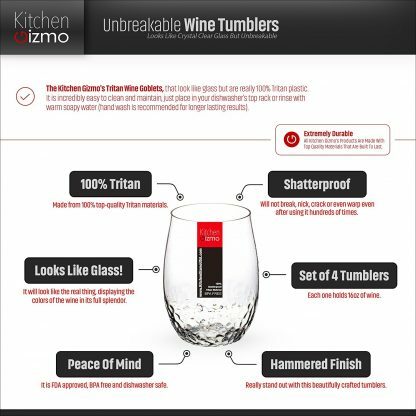 Kitchen Gizmo – Unbreakable Wine Glasses With Hammered Finish 100% Tritan – Set of 4, 16oz Stemless Tumblers. 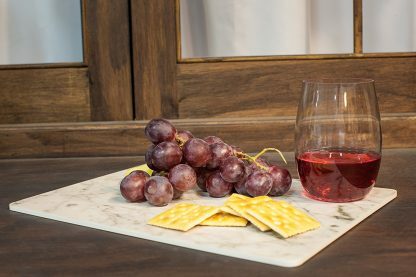 LOOKS LIKE GLASS: Made from 100% top-quality Tritan materials, it will look like the real thing, displaying the colors of the wine in its full splendor. 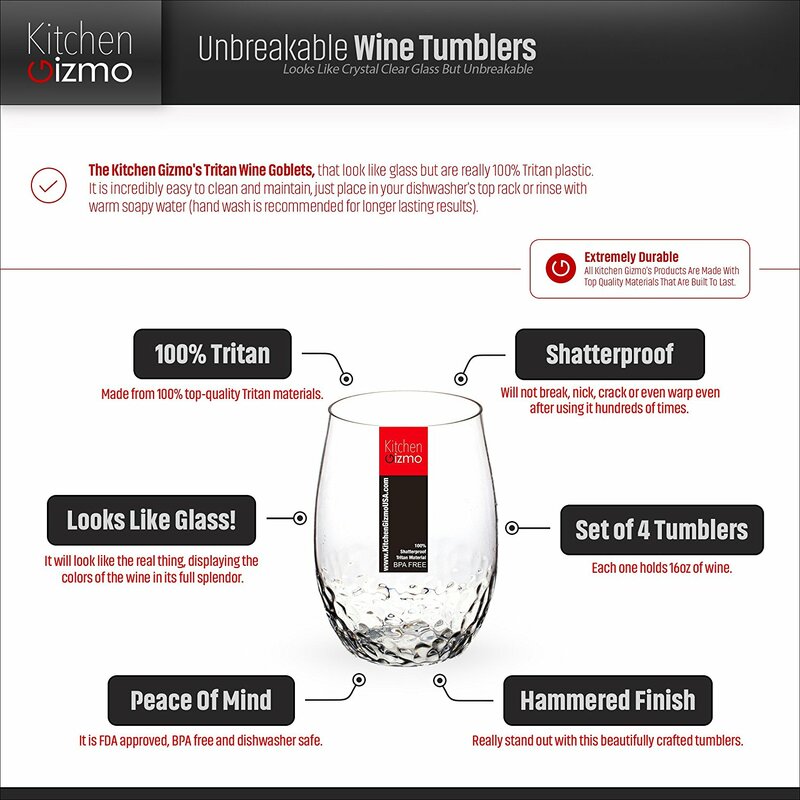 SHATTERPROOF: Will not break, nick, crack or even warp even after using it hundreds of times. Go ahead, let your guests have the time of their lives without fear of anything breaking. 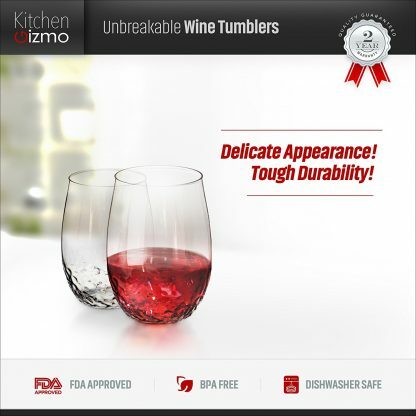 HAMMERED FINISH: Really stand out with this beautifully crafted tumblers. The hammered finish on the bottom will dazzle even the snobbiest oenophiles. 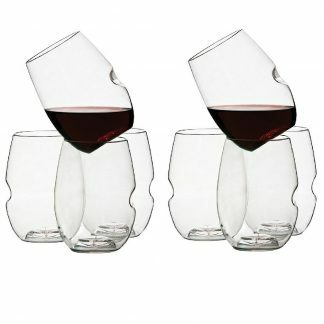 PRACTICAL: Set of 4 tumblers, each one holds 16oz of wine. 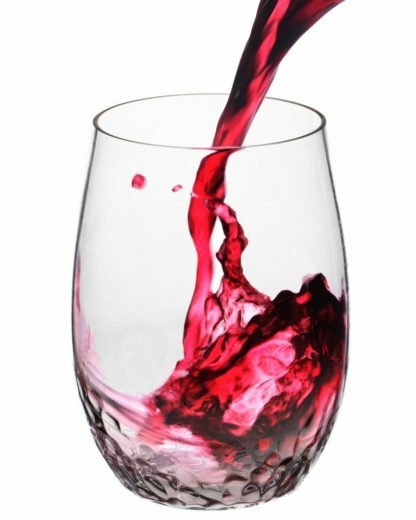 From the snooty oenophile to the thrifty wine lover, these glasses are made for you. Impress your guests and yourself with Kitchen Gizmo’s beautiful Tritan wine tumblers, that look like glass but are really 100% Tritan plastic. 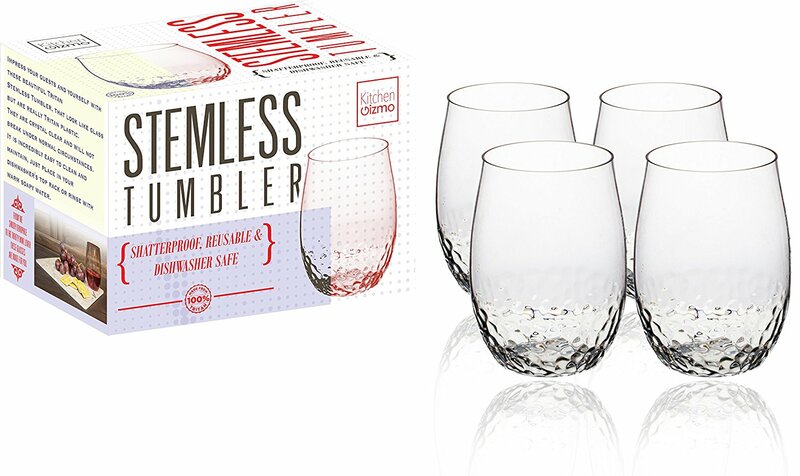 They are crystal clear and will not break under normal circumstances. It is incredibly easy to clean and maintain, just place in your dishwasher’s top rack or rinse with warm soapy water. PLEASE NOTE: Although it is dishwasher safe, to ensure a longer lasting lifespan please hand wash.